Outstanding, custom built 2006 Morgan home, situated in exclusive Roxbury Park. This brick, traditional home offers quality plus top of the line amenities and open floor plan. 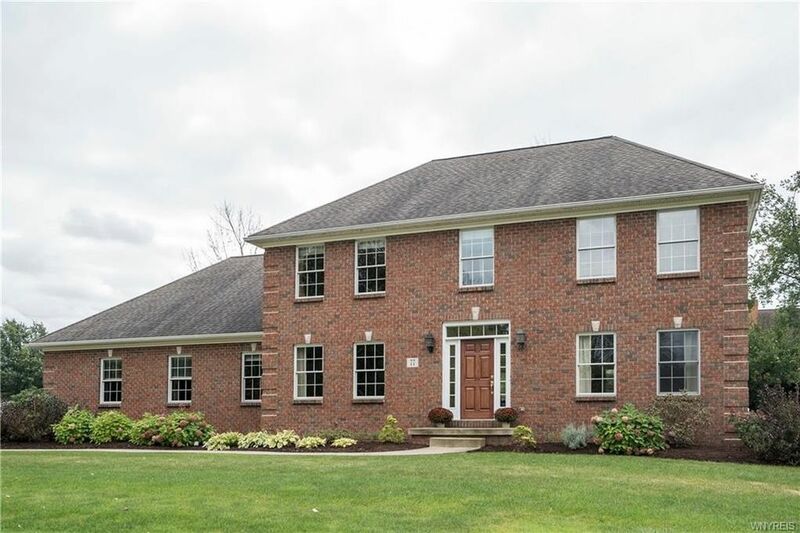 The location is in walking distance to #1 Williamsville East HS and Transit Middle School. Some additional features included: stunning Brazilian cherry floors, cherry cabinetry with granite counters and stainless steel appliances, 1st floor separate computer room, large mudroom. 2nd floor boasts master suite with 20 ft walk-in closet, 2nd floor laundry, 3 full baths. Finished daylight lower level, beautifully landscaped 1/2 acre lot with stamped concrete patio and sprinklers. 3.5 side load garage and security system.